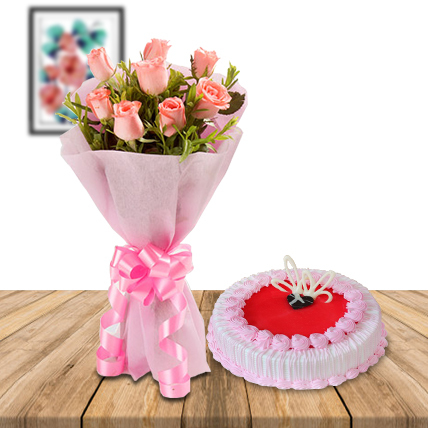 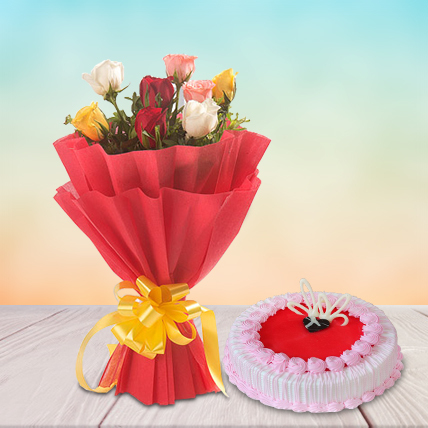 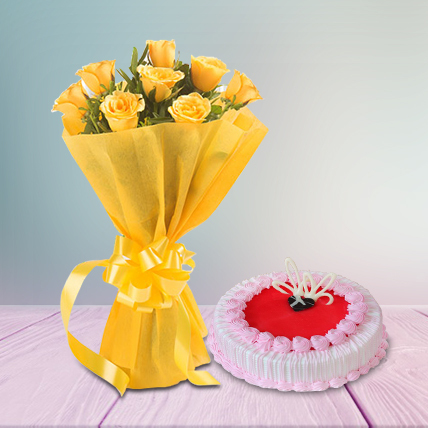 Show your loved ones how much you care for them with this lovely gift combo. 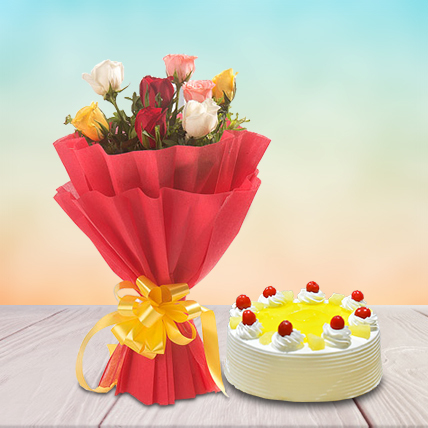 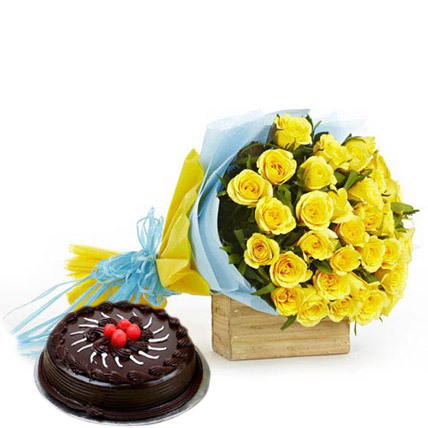 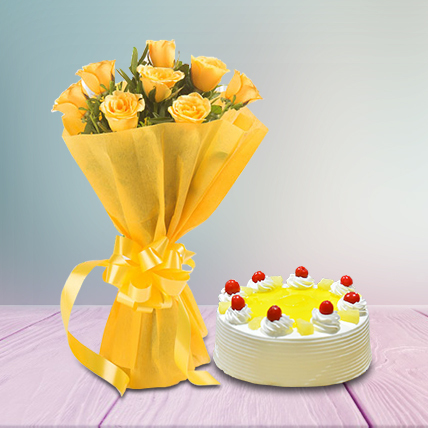 FlowersCakesOnline offers a delicious 1 kg chocolate truffle cake and a gorgeous bouquet of 30 yellow roses packed with yellow and sky blue papers and blue ribbon in this combo. 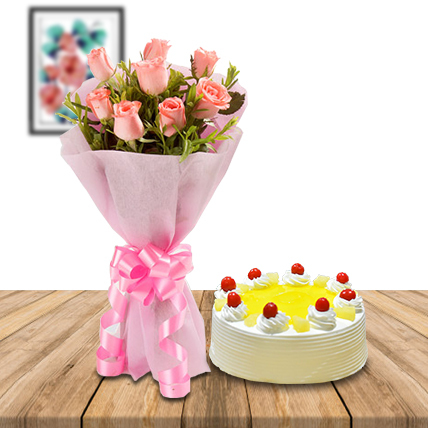 Make your order soon!